The Vostok 2018 exercise, the largest in Russia’s modern history, which involves 300,000 troops, got underway in the Eastern Military District on Tuesday, the press service of the Russian Defense Ministry told reporters. 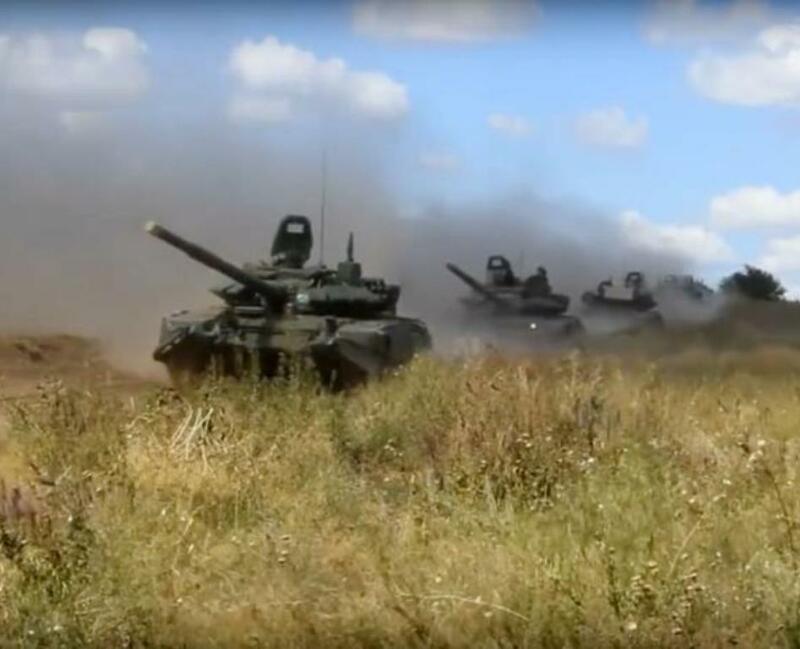 Taking part in the drills are about 300,000 Russian troops, over 1,000 aircraft, helicopters and unmanned aerial vehicles, up to 36,000 tanks, armored personnel carriers and other vehicles, up to 80 ships and supply vessels, the Defense Ministry added. Russian Defense Minister Sergei Shoigu supervises the drills. Exercises similar in scale have not been held since 1981 when the Zapad-81 drills that involved about 100,000 troops were held in the Soviet Union’s Belarusian, Kiev and Baltic Military Districts and in the Baltic Sea. Air defense troops equipped with S-300 and S-400 anti-aircraft missile systems and Pantsyr-S anti-aircraft rocket-gun systems became operational in new launch areas during the Vostok-2018 maneuvers, the Russian Defense Ministry reported. “After completing the service maintenance of the equipment, the combat units of the anti-aircraft and radio-technical troops entered into service in new launch areas,” the defense ministry reported. During the maneuvers, the anti-aircraft units will repel air attacks of the enemy. “The alert forces of the aviation and anti-aircraft defenses are working out the interception of air targets that imitate cruise missiles, unmanned aerial vehicles and planes of the ‘enemy,’” the Defense Ministry specified. The massive Vostok-2018 exercise is being carried out from September 11 to 17 under the command of Russian Defense Minister Army General Sergei Shoigu on the soil and in the waters of Russia’s Far East and in the neighboring waters of the Pacific Ocean. A total of about 300,000 servicemen are taking part in them, as well as more than 1,000 planes, helicopters and unmanned aerial vehicles, along with as many as 36,000 tanks, armored fighting vehicles and other cars, and up to 80 ships and support vessels.